Usually I start these weekly inspiration posts with some entertaining banter about the photos, but this week I have something more urgent. ƒ/D exists for two main reasons: to promote the art of pinhole photography and to promote those artists who – regardless of reputation or education – work with pinhole. However, because of my persistent reaching out to photographers through other sites, I’m at risk of being shut out as a spammer. I need to throttle back on the unsolicited messages, and I need pinhole photographers to meet me halfway. With your help, I can still send weekly updates of great pinhole photography! Don’t forget our open Call for Entry! Fitt Tamás made this dramatic capture with his 6×12 medium format “Natasha” pinhole camera with Kodak Ektar 100 film. 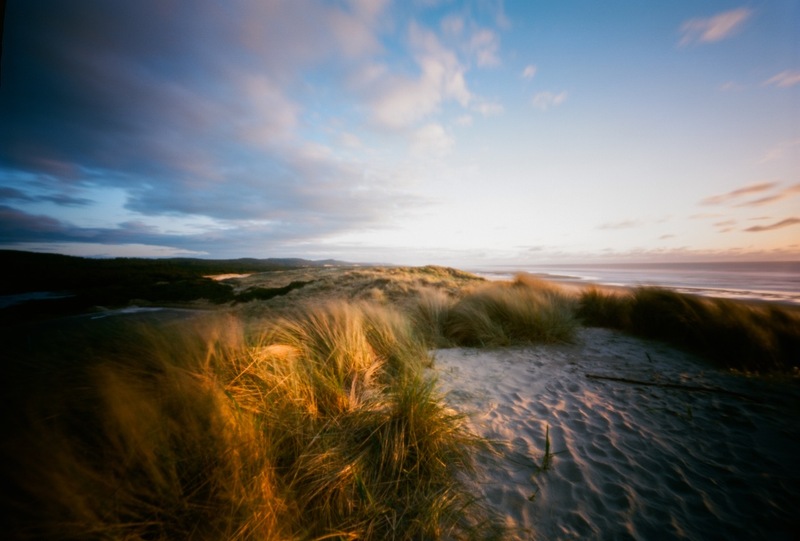 Fitt enjoys the super wide angle panoramic format because of the challenge it provides in finding that perfect location and scene. The long exposures and ritual process of pinhole give him the opportunity to observe more of his environment around him. You can find much more great work by Fitt at his flickr page. Michael Nelson has a very strong style to his work, which he applied with great results to this pinhole photograph. You can check out more of his work on his Flickr page. Takahiro Chiba used an Abelson Scope Works Omniscope to make this mind-bending capture of Kanazawa Station, Japan. The Omniscope has an anamorphic feature to it, that allows the light to come in at a 90º angle to the film plane, causing such radical distortion of the image. Anamorphic is also a favorite tool of ƒ/D interview subject, Jana Obscura. I invite you to check out more of Takahiro’s excellent work on Flickr. Eric Li made this image with an Ondu 6×12 and Kodak Ektar film, with a 90 second exposure over water. 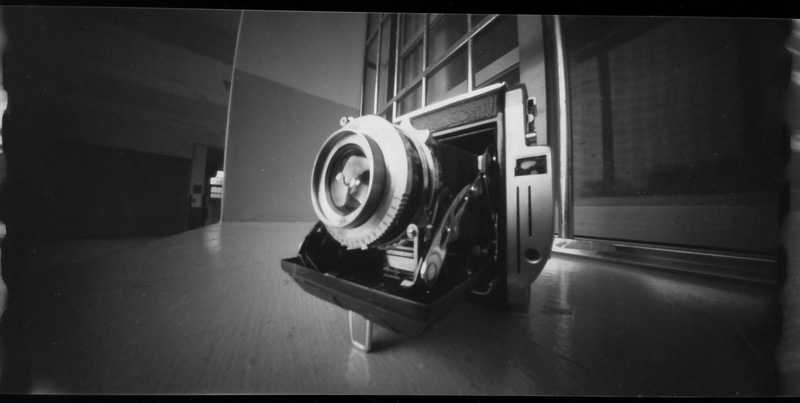 This was only his 3rd roll through a pinhole camera – look for great stuff to come from this guy. You can see more of his work on his Flickr page. Vanesa Henseleit is from Santiago de Chile where she runs a group called Lucky Pinhole. Her group conducts workshops, projects, and respond to calls for entry where pinhole is appropriate. This is a great example of stutter stepping an image – difficult technique to get good results from, but when you do, they’re truly remarkable. You can find more of Vanessa’s work on her Flickr page. Jason Huang made this still life image with a paper 6×12 pinhole camera. It’s an excellent example of the soft and luscious mood that pinhole can give to even simple subject. You can find more of Jason’s work on his Flickr page. Remember to respond to our open Call for Entry! It’s free!